← Make Your Own Palm Oil Free Nutella! Palm Oil Free (super easy!) Microwave Popcorn! 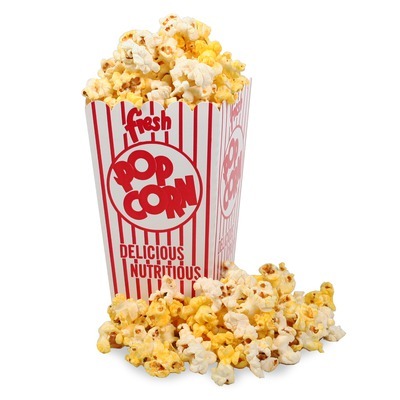 In a small bowl, combine 1/2 cup popcorn kernels, a teaspoon or so of olive oil or melted butter & some salt. Mix. Pour mixture into a brown paper bag. Fold bag several times and tape closed. Microwave using “Popcorn” button. If you don’t have that button, try 1 or 2 minutes, but be ready to shut it off when the popping slows down! THAT’S IT! Simple. And you can flavor it any way you want. SPICY: add spices directly to bowl of oil/kernels/salt. Continue as you did with the plain. HERBS: add sprigs of fresh herbs to the bowl of oil/kernels/salt. Allow to infuse for 5 minutes. Make sure all the herbs are coated in oil so they don’t burn! Continue as you did with the plain. SWEET: add 1-2 tsp of maple syrup to the bowl of oil/kernel/salt. Continue as you did with the plain. CHEESY: add some grated parmesan cheese to the bowl of oil/kernel/salt. Continue as with the plain. It’s healthier, cheaper, easy, delicious, and palm oil free! Give it a try! Comment if you invent any other flavors!